ENEMY FRONT is the first truly modern WW2 FPS, featuring stunning visuals, open-ended levels and a richly interactive combat experience that breaks out of the standard model of highly linear scripted FPS experiences, giving the player full freedom to own their playing style. Intense Combat, Sniping, Stealth and Sabotage – all are viable approaches for the player, maximizing player engagement and replayability. Against the visceral backdrop of breathtaking European locales, the player takes on the role of American Robert Hawkins, as he fights hand in hand with Resistance Fighters opposing the Nazi juggernaut in France, Germany, Norway, and during the Warsaw Uprising. 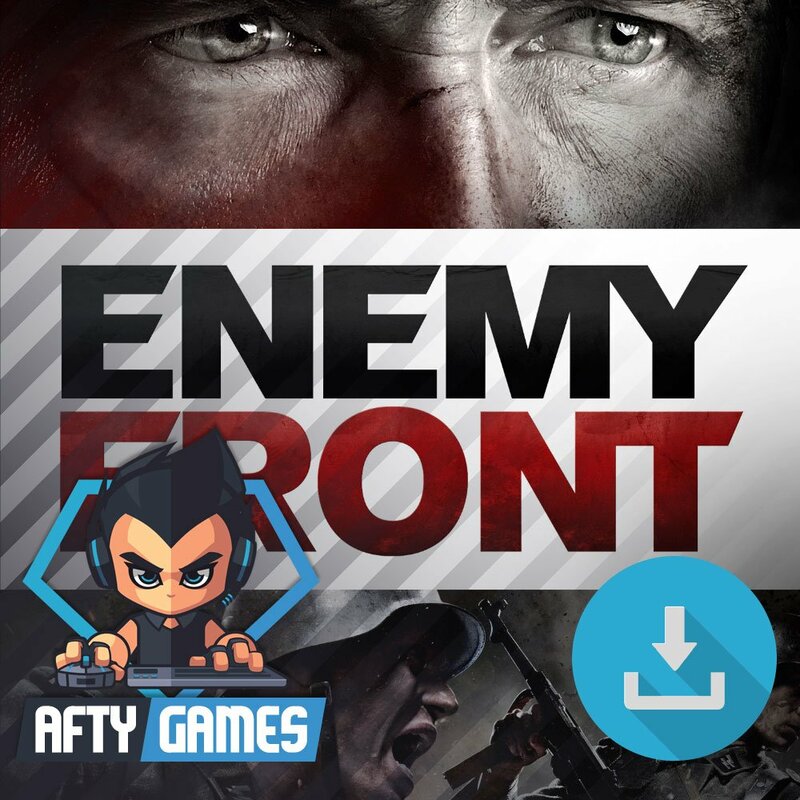 • Choose your own fight: gameplay blends fast-paced FPS action with precision sniping thrilling stealth, and deadly sabotage in the first open-ended WW2 game. • Deal death from afar: use sniper rifles to decimate enemy ranks and pick off officers, enemy snipers and heavy weapons gunners with deadly precision. • Breathtaking visuals, interactive environments and spectacular action across many iconic Resistance operations of WW2. • Choose your own weapon: full arsenal of WW2 weaponry across all categories of hand-guns, SMGs, assault rifles, sniper rifles, as well as signature Resistance weapons including the Sten gun, Welrod Silenced Pistol, and Lightning SMG. • Own the battlefield: combine reconnaissance, explosives and marksmanship to prepare, misdirect and ambush numerically superior Nazi troops. • Engaging, destructible environments and advanced tactical AI means combat is always a rewarding and dynamic experience. • Highly replayable 10 hour Single-Player Campaign and 12-player Online Multiplayer, all powered by CRYENGINE technology.